What we’re doing here is building a 5G economy. Infrastructure is a huge part of the 5G economy. Make a note; wireless is a business, 5G is a business. While you may love working on it and with it, if it doesn’t make money it’s a hobby. This is a business. Verizon and AT&T may talk about how fun it is, but the fact that a majority of the leadership in those companies are lawyers and business management, they completely understand it’s a business. They are not run by engineers who may think this is fun. Many engineers enjoy this work, but if you look around, engineering is being outsourced, and large companies fill the middle ranks with project managers who interface with the engineers. Keep this in the back of your mind. I began to realize that the average American has no idea how much 5G, or the commercial wireless networks in general, impact our economy. There is an entire ecosystem funded by the carriers. While we look at them as the big bad corporation, they actually pay the bills for many people across the USA. This of the rise and fall of large corporations of yesteryear. The steel companies, the railroads, the wired telecom companies, car companies, and so on. It’s a long and glorious list. They all built economies that grew, expanded, and showed great potential. Eventually, they all had to deal with competition and changing environments. Is wireless one of these industries? Today, we have AT&T, Verizon, T-Mobile, Sprint, and a group of smaller CCA members. (CCA is the Competitive Carriers Association, learn more at https://ccamobile.org/). They are the ones that create this ecosystem that makes so many of us live off of. They are all corporations that are building the infrastructure of today and tomorrow. They are working to make something that American can use to stay in touch. They have displaced so many industries and put them all on your phone. They helped several industries collapse with the rise of the smartphone. Digital cameras, GPS systems, stereo systems, televisions, movie rental businesses, and more. All in your smartphone. Even landlines and to some extent, computers. All in your smartphone. In today’s world, spectrum is the new oil. This slice of thin air is bringing billions into the FCC. The spectrum is making itself available, well, here in the USA the FCC is making more and more spectrum available. Thank you, FCC. Who knew the new oil would be right in front of us and something the FCC could allocate to easily? The carriers have to invest in spectrum before any of this happens. That could be millions, hundreds of millions, or billions in the USA. However, we need to look at how the ecosystem will play out. I am in deployment; I look at the hardware to be installed and the services. I think that most teams don’t care about the big picture, they look at the laser focus which is their job. Tower climbers look at the tower work. Engineering of the RF and backhaul. 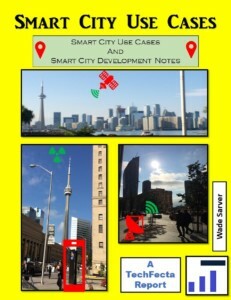 Smart pole vendors look at the densification. 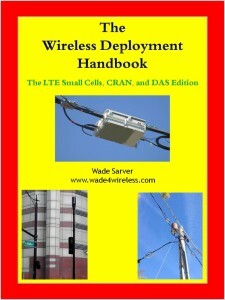 Wireless OEMs will sell small cells, CRAN, and macrocells. Site Acquisition teams look at the services they offer to get the equipment to be installed. Backhaul fiber providers look at the number of connection and the locations they need to connect the sites up. This could be macro, CRAN, or small cells. Router OEMs look at the bandwidth, network splicing, and services they can offer. All the miscellaneous materials like fiber jumpers, hybrid cables, copper, grounding, fencing, and more. Edge centers look at proving Edge data centers that are about a tenth the size of a larger data center. Licensing by the OEMs for core and RAN. 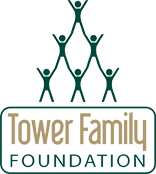 Maintenance for the towers and poles. There is an amazing number of players to roll out any network. It’s no longer just the phone company and carrier. They need the players to support. Key players are the OEMs and the tower companies. These groups are usually involved right up front. Broadband depends on backhaul and fronthaul. In order to improve throughput, you need to have plenty of bandwidth in the backhaul. You need good routers. You want to be sure the traffic is routing properly and in the most efficient manner. To get the low latency for URLLC to work, you need to have the edge servers in place. To get mMTC, massive machine type communication to work, you want to be sure you have the correct spectrum, feature, network slicing, and battery settings in place. To get eMBB, enhanced mobile broadband to work, you need spectrum, backhaul, and routing to be aligned. This is a huge ecosystem in many industries. We are also looking at multiple players. The carriers made it pretty clear they won’t support indoor coverage unless they have to. They are going to have to work with private LTE and 5G NR systems. These private systems could be unlicensed or lightly licensed. Either way, there is going to be a collaboration between the big bad carriers and the small business who relies on wireless to enhance their business. We need fiber; we need fronthaul and backhaul. A set of 6 fiber strands is no longer good enough. Now we need to have massive fiber backhaul that can be aggregated together to give us what we need to provide the service requested. It’s not all about traffic. There is more and more overhead. Latency matters because we want to keep it as low as possible. So that is a combination of sufficient backhaul, edge computing, and routers that can handle the low latency services. I’ve been catching up on my 3GPP Release 16 updates this weekend. 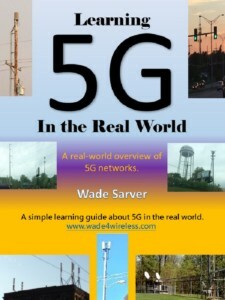 I know that they are addressing the 5G updated much faster than the LTE systems ever did. They know to be competitive that we need to get the services out as soon as possible. That’s one more thing, this all is regulated. The folks at 3GPP are doing an amazing job keeping the 5G updates up to date. They have made amazing progress in the past 2 years. Now that you see how the infrastructure injects billions into the economy, you may begin to understand why it matters so much. The final touch, you have the end user’s devices. We all think of smartphones, but for fixed wireless and broadband it’s going to be a wireless modem. Maybe a USB interface, but it could be a standalone puck like what Verizon is offering. The devices will be important to the 5G services taking off. With fixed wireless taking off, this will spin-off a new ecosystem of devices for internet customers. We’re looking at a vertical market that was once reserved for cable companies. Now the carriers have that as part of their portfolio. As the fixed wireless market expands, so will the sales of these devices. As you know, gaming is a new vertical. This is another spin-off to have 5G wireless gaming consoles available in 2020. Another product that will add to the 5G economy. Then you will have the growth of IOT devices. We don’t expect thousands, but millions of devices. Literally, millions of devices to be connected to the 5G networks in 2025. Can you imagine? All of these low-cost devices will play a critical role in building the 5G economy. I think you get the idea, 5G is going to grow the economy starting today. There is room for growth, and we already see the work starting. My question to you is, “what part will you play?” How will you get in on this to be part of it? Will you figure out a way to make it up front and on ongoing? I hope so, let me know how! It’s still in its infancy. It’s time to expand! Be creative; there are so many things we have not thought of yet. I am already working on a business case article that will show the end users how they can build business cases around the network that is fast coming. This is a way we can all be ready for what’s happening. Plan wisely! Previous Is Tech Innovation Dead? Next Should the FCC make mmwave spectrum lightly licensed?